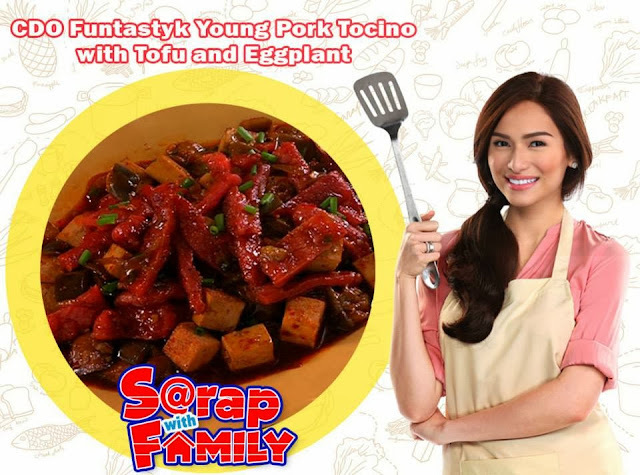 CDO Funtastyk Young Pork Tocino is the classic sweet Filipino delicacy made from tender young pork cured to perfection. As it is made from young pork, this Tocino is guaranteed tender, fresh and delicious! 1. Heat pan and oil then sauté CDO Funtastyk Young Pork Tocino until lightly caramelized. 2. Add in white onion, ginger cook until white onions has soften then sauté eggplant, cook for 3 minutes then add in tofu. 3. Add in chilli powder, soy sauce and chilli garlic sauce and water then simmer. 4. Toss in Spring onions. Best served with Rice.